The ISRCTN registry is a primary clinical trial registry recognised by WHO and ICMJE that accepts all clinical research studies (whether proposed, ongoing or completed), providing content validation and curation and the unique identification number necessary for publication. 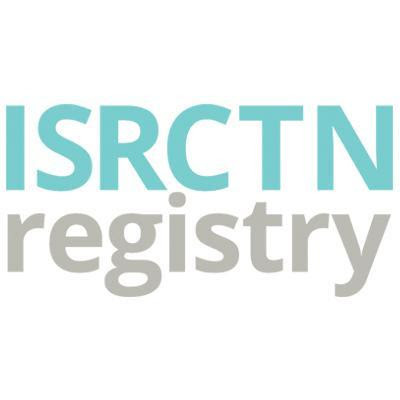 All study records in the database are freely accessible and searchable.ISRCTN supports transparency in clinical research, helps reduce selective reporting of results and ensures an unbiased and complete evidence base. Registration is the first step towards trial transparency and the future dissemination of health research outcomes. Its key aim is to ensure that all healthcare decisions are informed by all of the available evidence, thus, overcoming publication bias and selective reporting. Registration provides opportunities for collaboration and reduces duplication of research efforts; it also improves awareness of trials for clinicians, researchers, patients and the public. Certain countries mandate registration of trials, while several funding agencies and official bodies strongly recommend it. A growing number of medical journals now insist on registration of clinical trials before they consider the submission of a paper about a study protocol and/or results. For more information on current legislation and registration guidelines please visit our resourcespage. Why register your study with ISRCTN? Simple and flexible submission process – includes contextual help, save function, integration of the ORCID identifier. Follow up messages enable you to stay updated with the progress of your registration. Easy to use and user-friendly website – differentiate categories at a glance and search by condition, intervention, funder and many other fields. Content is reviewed and curated by a team of expert editors. Prospective and retrospective registrations accepted. New fields, such as recruitment start and end dates, participating sites and plain English summaries, allow prospective participants to find relevant studies. High visibility – Content freely, publicly accessible and pooled in the international WHO trial search portal and in the UK Clinical Trials Gateway, if recruiting in the UK. International, open to all study designs in all areas of health care, conforms to international guidelines. ISRCTN supports transparency in clinical research, helps reduce selective reporting of results and ensures an unbiased and complete evidence base.